Kenneth Gartman hosts an Open Mic night at the Unity Center of Norwalk 7 p.m. Saturday, Jan. 19. For Kenneth Gartman — whether he’s leading cabaret workshops, giving voice lessons, directing church choirs, or running an open mic night, like he will do in Norwalk this weekend — it’s all about finding your voice. That was one of Gartman’s inspirations for starting Open Mic nights at the Unity Center of Norwalk over five years ago. The church’s monthly series makes its first installment of the New Year at 7 p.m. this Saturday, Jan. 19. Gartman’s own stage credits include roles in off-Broadway, New York Music Theatre, and National Broadway touring productions. He is also the producer and booking manager for B.J. Ryan’s Magnolia Room in Norwalk. 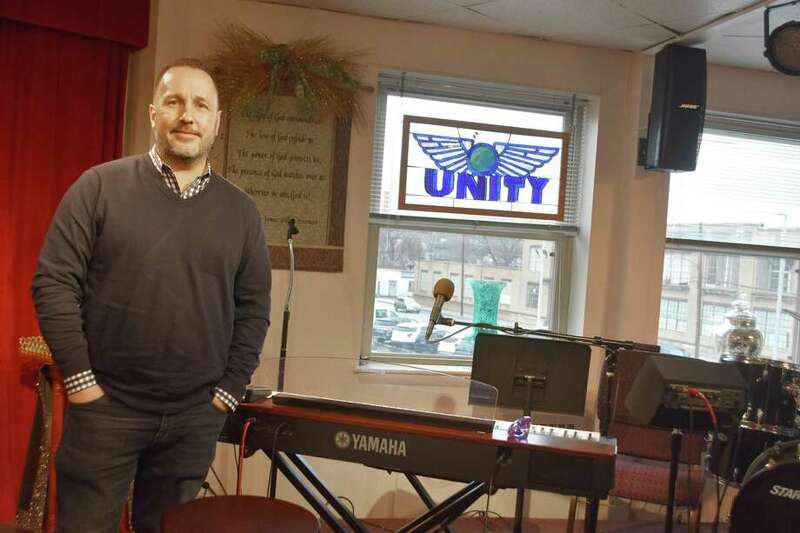 At the Unity Center of Norwalk, on the second floor of 3 Main St. above McMahon Ford, open mics take place the third Saturday of the month. Gartman serves as host and pianist and does an opening and closing number. He’ll also accompany open mic performers, if needed, as long they provide at least a lead sheet. “Give me dots on a page or chord charts, and I’m fine,” Gartman said. He brings in a featured artist every month, who does a set of three songs in the middle of the program. The featured act this weekend is cabaret veteran Leslie Orafino, who has appeared across the country from the legendary Algonquin’s Oak Room in New York to Napa Valley’s Silverado Country Club. Gartman started the open mic series in June 2013. A wide array of performance styles has provided the entertainment over the years. And it tends to be an all-age crowd. “One talented young singer named Liv Benjamin started coming here when she was 13, and she’s now a senior at Wilton High School. The first time she ever sang, it was amazing and wonderful. Another family came with their daughter who was 14, and she would sing with her dad, then she would sing by herself, and now she’s in college,” he said. Sign up is at 6:30 p.m. All the performers do one song or do a spoken-word performance, poetry recital, or comedy with the same length of time in mind. After sign up, Gartman organizes the evening’s proceedings. Open Mic admission is $10, which includes a two-for-one drink special at the B.J. Ryan’s Banc House following the event. Call (203) 855-7922. Mike Horyczun’s Sound Surfing column appears every Saturday in The Hour. Mike can be reached at news2mh@gmail.com.